We start here because most games are up-front games. While the actual show has a dozen camera men that allow you to see every angle, you won’t. That’s why we want to ensure that the games you choose are exciting to watch for everyone. 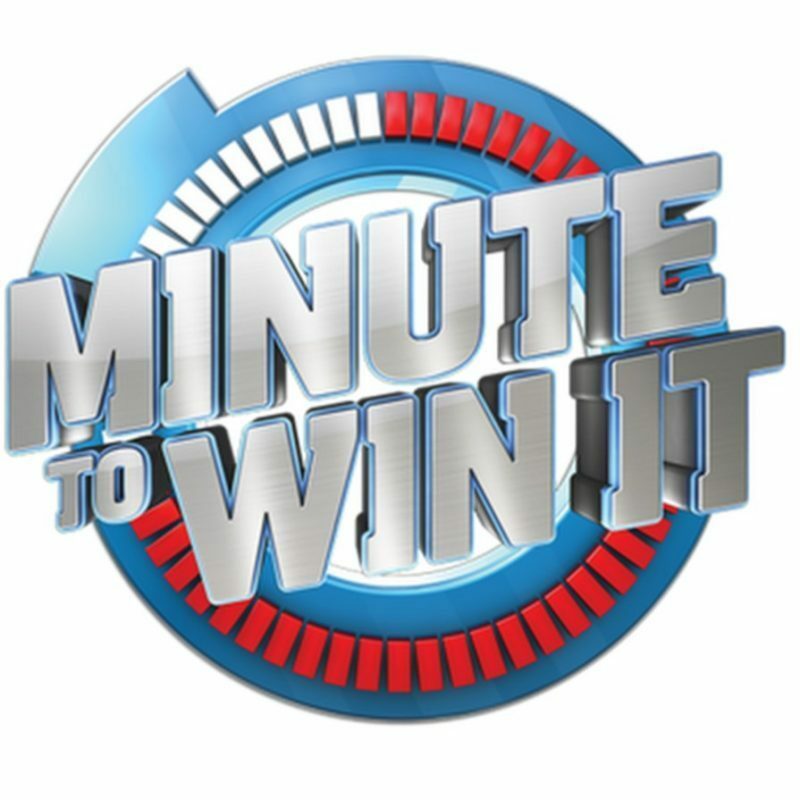 Minute To Win It offers a ton of games, but some require elaborate set-up, so we tried to eliminate those unless they were absolutely incredible games. You will see varying degrees of set-up throughout our Top 20 list, but we tried to give you a good mix to accommodate different needs. It may sound fun to throw out the most difficult games, but if no one ever succeeds at the tasks, the game is pretty boring for spectators and participants. We simply show you the difficulty ranking to help you know who you should be choosing for what games. Fun is the X-Factor of gaming. We feel that each of these games has a fun element to it, but some are clearly superior than others. 1) The game begins with 15 cans to the left of the building surface and the paper plates to the right of the building surface. 2) When the clock starts, player may start stacking the first can and plate. 3) To complete the game, player must have stacked 5 levels of cans with a paper plate between each level, and 5 cans on the uppermost plate. 1. Use Music. It will help enhance the atmosphere, especially for a one minute game. 2. Make it a competition that spans over time. Maybe take a month, or a summer to play a Battle of the Sexes, Jr. High vs. High School or even have schools play against each other. 3. I prefer simultaneous play, but you may want to have one contestant play and then another. This also saves on the amount of materials you need. Just remember to track their times and progress (in case neither finishes).